Gautam and Sameera are constantly at loggerheads and just can’t get along. Fate seems to have a twisted sense of humor, however, and keeps throwing them together! On a wet, monsoon-ravaged Mumbai night, Gautam—a young and handsome investment banker—meets with an accident. 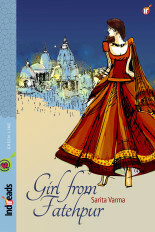 Fate brings Sameera—gorgeous, rich, independent and fashionable—into his life. The attraction is electrifying, but is eclipsed by a previous meeting that didn’t go so well. Their journey starts in an unromantic doctor’s room and ends in Goa, with its pristine beaches and moonlit nights. 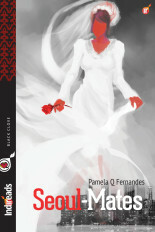 While he struggles to comprehend the strength of his emotions for Sameera, she struggles to tame the demons of her past. What could have happened to scar her so deeply? Is Gautam’s love strong enough to win over Sameera’s past? The way complicated emotions of two people falling in love is captured in the novel is worth a read. The narrative is good and so are the dialogues. Realistic and genuine. I liked the verbal fights as well as the heartwarming scenes. The protagonist are very likable and relatable. At the core of the book is an issue relevant to be discussed in our society, it happens causing the girl great trauma that she is scarred for life. The prejudice regarding the girl is also discussed, wish all could be like Gautam. Beautiful experience. Do read the novel. 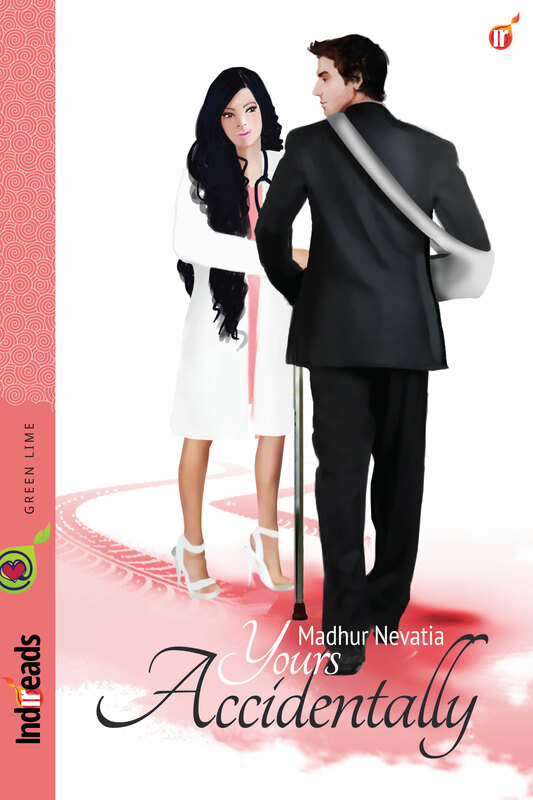 ‘Yours Accidentally’ deals with an issue which is an ugly truth of our society but seldom comes to light because of close relations involved. I would not go in details, else it would be a spoiler, but Madhur Nevatia, in her debut novel, has captured the problem and scene bang on. Gautam, (love the name) a no-nonsense Investment Banker, meets beautiful Sameera and sparks fly all over. They come close as Gautam meets Sameera again when he is injured in an accident. Unaware of her traumatic past, he is hurt and unable to understand her hot and cold responses to his sincere advances. Slowly, patiently he is able unravel the mystery and wins her over. I can identify with Gautam’s character, an introvert, workaholic and a sensitive person. I am glad the author has not made him an Alpha male, a norm in some romance stories. He gets tired of singing and dancing in the events, it is such a genuine male characteristic that one can totally relate to it. I loved his subtle, mature ways as he handles Sameera when she is struggling with her fears and emotions. Sameera’s character, a shy girl, but a determined professional has been portrayed very well. Her reluctance to commit is relevant and understandable. Since it’s a romance, I would have loved a little more interaction between our hero and heroine at the beginning when the conflict is building, most of the dialogues were either overheard or through other characters. But as the story progresses I was completely immersed. It is a very well written book: a simple story with a simple plot. The characters are lifelike and while I was reading the story, it felt more of a narration that reading, as if someone was telling me their story. The author has described the feelings of both the characters. The language is simple and easy to follow. Nevatia uses a light touch when dishing out this bubbly romance about Gautam and Sameera, who take an instant dislike to each other when they meet at an engagement. 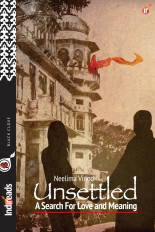 Circumstances force them together again, but Sameera has a past that threatens to douse their growing mutual attraction. The romantic in me succumbed to the lures of this sweet little love story. Best had with a glass of chilled wine and a box of chocolates to hand. Brought back memories of my days in Bombay and loved all the wedding descriptions and all the give and take that happens around it. 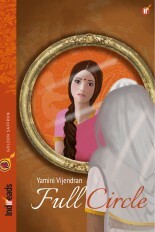 I just finished ‘Yours Accidentally’. I flew through the book and absolutely loved it. It was light, charming, easy to read with likable characters and a storyline that leaves you saying “just one more chapter” every time you pick it up! I will definitely be on the lookout for more work from this author.